Now may just be the right time to step up and get into a luxury car. But where are the best luxury car lease deals, November 2012? Check out the following offers available this month, but pay attention to the expiration dates, as not all of them last beyond November 30, 2012. 2013 Acura ILX – Check out the smallest and newest Acura luxury cars this month and take advantage or either of two attractive lease deals. The 2013 Acura ILX is available to lease for $239 per month for 36 months with $1,999 due at signing. Or, lease the ILX for $300 per month on a 36-month lease with $0 due at signing and $0 first month’s payment. These deals are available through January 2, 2013. 2013 BMW 3-Series – If you’ve always dreamed of getting into the 3-Series, now’s your chance. Lease the 2013 BMW 328i sedan for 39 months at $339 per month with $3,814 due at signing. Or, go for the BMW 328i xDrive sedan for $369 per month on a 39-month lease and pay $3,844 upon signing. Note that these deals include $1,000 Holiday credit and $750 Loyalty Cash. Both lease deals are good until the close of business on January 2, 2013. 2013 Cadillac CTS – Opt for sporty performance and luxury with the lease of a 2013 Cadillac CTS and pay $429 per month for 36 months, with $0 due at signing. This lease offer is available to qualified lessees until January 2, 2013.
signing. Move into the 2013 Hyundai Genesis coupe 2.0T with manual transmission for $289 per month for 36 months with $2,699 due at signing. Deals are good only through November 30, 2012. 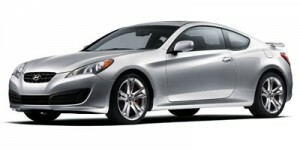 2012 Hyundai Genesis Sedan – Lease the 3.8-liter V6 2013 Hyundai Genesis sedan through the end of November 2012 for $389 per month on a 48-month lease and pay $0 due at lease signing. months with $2,999 due at signing (rear-wheel drive), and just $10 more per month for AWD with premium package– $339 for 24 months with $2,999 payable at signing. 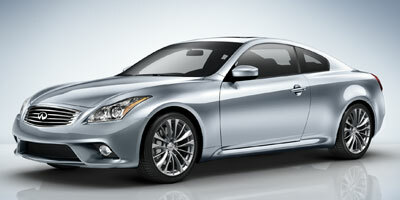 Infiniti G37 coupe deals are good through January 2, 2013. 2012 Infiniti G37 Sedan – Also good through January 2, 2013, check out these two $319 per month, 24-month lease deals on the 2012 Infiniti G37 sedan. On the rear-wheel drive Journey with premium package, pay $2,999 due at signing. On the AWD model with premium package, the amount due upon signing is $3,199. 2013 Mercedes-Benz C-Class – Consumers looking at the 2013 Mercedes-Benz C250 Sport Sedan can lease it for 30 months at $349 per month and pay $4,143 at signing. There’s also a 30-month, $369 per month lease deal on the 2013 C300 4MATIC Sport Sedan with $4,163 payable at signing. Lastly, get into a 2013 C250 Coupe for $379 per month on a 36-month lease with $3,773 due at signing. All C-Class lease deals expire November 30, 2012. 2013 Mercedes-Benz E-Class – Several lease deals are available through November 30, 2012 on the 2013 Mercedes-Benz E350. There’s a $579 per month, 30-month lease with $4,549 due at signing on the 2013 E350 Sport sedan. The E350 4MATIC Luxury sedan and 4MATIC Sport sedan are both $599 per month, with $4,869 due at signing. The E350 Coupe is $629 per month for 36 months with $4,174 due upon signing while the E350 4MATIC Coupe is $549 per month for 36 months with $4,594 due at signing. 2012 Volkswagen CC – Good through the end of November, Volkswagen is offering a 42-month lease on the 2012 CC for just $319 per month. Pay $0 at signing and drive off – if you qualify.